The İstanbul 14th High Criminal Court on Tuesday overturned a regional court of justice decision made on October 9 overturning a prison sentence of 25 years to main opposition Republican People’s Party (CHP) deputy Enis Berberoğlu over a report on National Intelligence Organization (MİT) trucks transporting weapons to rebels in Syria. However, a regional court of justice overturned the high criminal court’s decision on October 9. According to the Diken news portal, on Tuesday, the İstanbul 14th High Criminal Court took the law in its own hands one more time, and overturned the regional court’s decision for retrial. A new indictment was drafted naming Berberoğlu. In September 2016, an İstanbul court decided to merge the trial of journalists Dündar and Gül with that of Berberoğlu. 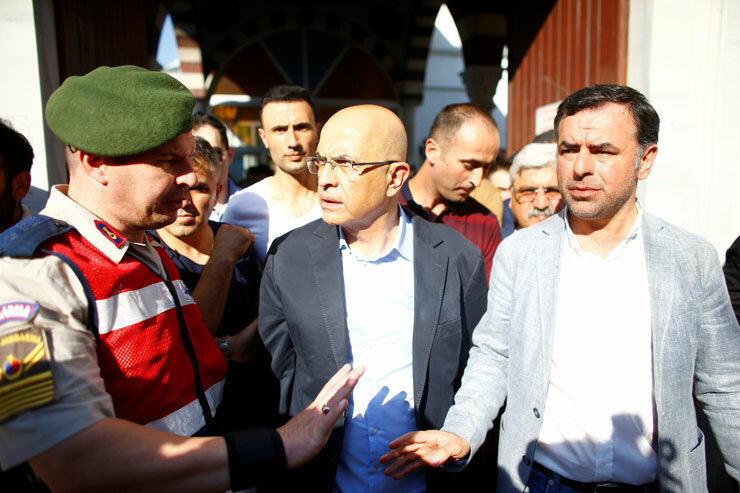 In order to protest the court decision, main opposition CHP leader Kemal Kılıçdaroğlu launched a “March of Justice” on June 15 in Ankara which ended at Maltepe Prison in İstanbul, where Berberoğlu is jailed.